Barb represents employers and employees inside and outside the courtroom. Regularly advising a national hotel management company on a wide range of employment-related matters. Defeating claims of discrimination, retaliation, unlawful discharge and wage and hour violations against food-service franchisors. Representing a national food and beverage company in its labor and employment matters. Consulting with a variety of specialized healthcare providers (surgery centers, rehab centers, physician practices) on day-to-day employment matters. Barb has also handled numerous cases involving noncompete and similar agreements, theft of trade secrets, state and federal wage and hour laws, Department of Labor (DOL), Equal Employment Opportunity Commission (EEOC) and other state and federal agency investigations, as well as issues relating to Title VII, the Age Discrimination in Employment Act (ADEA), the Americans with Disabilities Act (ADA), the Family and Medical Leave Act (FMLA), workers' compensation, the Occupational Safety and Health Administration (OSHA) and the Consolidated Omnibus Budget Reconciliation Act (COBRA) and other contract and tort issues relating to the employment relationship. She has represented employers and employees in various agency, state and federal court and arbitration proceedings related to noncompetition agreements, theft of trade secrets, wrongful termination, fiduciary duty, breach of contract, wage disputes, equal pay, discrimination, retaliation and harassment claims. She is often hired to conduct internal workplace investigations on a wide variety of topics. The clients Barb has worked with span across industries, including healthcare, senior living, hospitality and resort, food service, light manufacturing, professional and financial services, engineering, transportation, publishing, retail, real estate sales and investment and development. 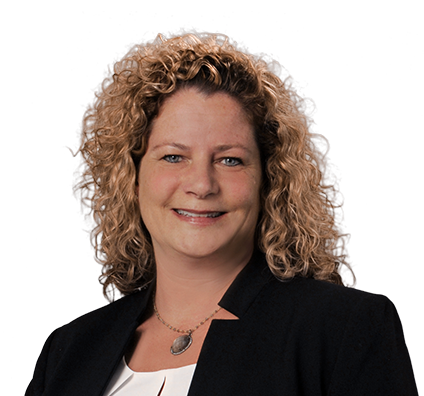 Barb lectures at continuing legal education programs regarding various employment law topics and has provided employment law-related training to several large national and international companies, as well as smaller local and regional companies. Barb also maintains an active business litigation practice, which includes real estate disputes, business torts and complex contract cases, along with intellectual property, professional liability, creditor/debtor and securities matters. Represented a hospital system in a variety of labor and employment matters including defending civil rights charges related to "English Only" policies. Defended corporate representative in multiday jury trial against claims by owner/physician against medical practice and representative for fraud, breach of fiduciary duty and civil conspiracy. Conducted internal workplace investigations for numerous public and private companies concerning sexual harassment, workplace violence, conflicts of interest, ethical and policy violations, race discrimination, age discrimination, gender discrimination and retaliation. Represented a high-level executive in wrongful termination and defamation claims against former employer. Represented national brokerage firm in arbitration proceedings with other brokerage firms concerning the hiring of employees and "raid" claims. Defended a healthcare provider in Title III ADA litigation related to hearing-impaired patients. Defended national retailer in disabilities-access litigation concerning shopping center access. Defended corporate representative in multiday jury trial against claims by former employee of fraud, breach of fiduciary duty and civil conspiracy. Represented international real estate marketing and sales company in multiday arbitration proceeding with counterclaim for $14 million. Counseled numerous commercial landlords in breach of lease and eviction proceedings, including prejudgment attachment of personal property on the leased premises. Represented landowner in partition action. Advised former officers and directors in various breach of fiduciary duty actions brought by bankruptcy trustee and creditors. Represented purchaser of commercial property in escrow dispute with seller. Represented several landowners in adverse possession and quiet title actions. Defended landowner in dispute with broker regarding commissions. Represented buyers and sellers in failed real estate purchase and sale transactions. Defended ski area owner and operator in dispute with adjacent landowners concerning access through multiday trial. Defended public company in class-action securities lawsuit that included cross claims and third-party claims. Represented individuals in Colorado Consumer Protection Act claim against former legal counsel in connection with the brokerage and sale of a business. Represented national building products manufacturer in dispute with distributor. Represented beneficiaries of trust against trustee alleging fraud and breach of fiduciary duty, including obtaining award of enhanced punitive damages after multiday trial. Advised plaintiff class against public company asserting claims of securities fraud, breach of fiduciary duty and related torts. Represented shipping company in enforcing territorial restriction in license agreement through a preliminary injunction hearing.